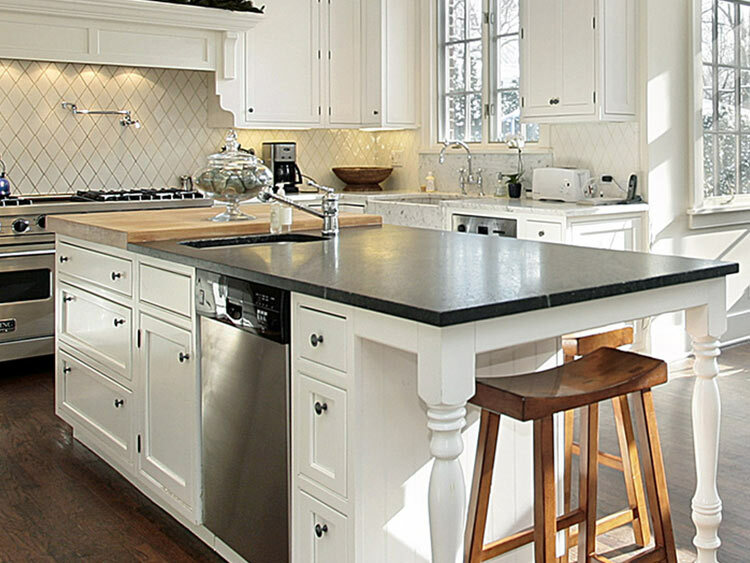 Putting granite in your home is a big decision and quite possibly a big expense. Picking the right stone for you and your project can be an overwhelming task. But that is only half the equation. Don’t overlook picking the right fabricator. Even the most beautiful stone can be ruined by improper fabrication and installation. Read these tips for choosing your fabricator. Not every 'deal' is a deal. Everybody today wants “a deal.” Deals and competitive pricing are the ”norm” in this economy, but when it comes to granite, you need to shop more than just price. Any Joe Blow off the street with a truck and a circular saw can cut granite. However, "Joe" is not the person you want to trust thousands of your dollars and the well-being of your home to. Look at the Better Business Bureau (BBB). How is this company ranked with them? How many disputes have they been involved in? How were they resolved? Look at their profile. Is their page strong with contacts and pictures? Look at Angie’s List. What is their score there? Read the comments for the company you are considering. Once again, is their presence strong? Look for pictures and video. Make sure they have a good, interactive website that makes it easy to contact them. Do they have any professional member affiliations such as the Marble Institute of America, Stone and Tile PROS, or the Home Builders Association? Companies with these memberships and associations have avenues you can follow if something does go wrong. Keep in mind that companies with some or all of these associations want to stay in good standing with all their associations and will do anything they can to resolve your issues, should anything come up. But, as much as a good company wants the job to go well, life just dictates that occasionally things do go wrong. You want to hire a company that will be there for you when they do. Check to see if they do mostly commercial or residential work. A mix is good but fabricators that do mostly commercial work sometimes get into the ”cookie cutter” rut. They are used to turning out the same layouts in the same colors day after day for large home builders or property managers and they may lack the ability or the insight to give you the special touches that makes your countertop ”uniquely yours.” They may not care if your “movement or veins” are going in the right direction. Make sure you can meet with their sawyer to get the best cut possible. Be aware of their financial status. Granted, this is hard to check but anyone that is pushing you to make the deal NOW or says they will match or beat the lowest estimate you have no matter what, needs your cash to help them stay afloat. Plus, if they are willing to cut prices like that, how can they afford to pay competent, qualified employees that will do the job right? That doesn’t mean you can’t ask for a more competitive price. If you have an estimate from a legitimate, licensed fabricator that is lower than another company quoted you, talk about it. Everybody prices differently and a good company will be willing to entertain the idea of alternate pricing. It may work, it may not, but they will not be offended if you try. Competitive pricing and deals aside, if you have an issue with your countertop a year or even two after it is installed, you want to make sure that company will be there for you down the road. A good company can afford to let you walk out the door. They won’t like it and they will try to get you back but they won’t be desperate or pushy about it. Do they have a showroom and slab yard? These two things are more than just convenience for the consumer. They also indicate stability and strength. It’s hard to disappear into the night if you have employees, equipment and thousands of dollars of slabs to be responsible for. It means financial investment in the company and it also indicates good, strong vendor partners. All those slabs and machines have to come from somewhere and trust us, they aren’t free. Also, if you walk their yard and you don’t see anything you like, are they willing to send you to a wholesale granite company in your area for more selections?...GOOD! This means they have a working relationship with that wholesale company. They wouldn’t send you there if they couldn’t buy product from them. If your cabinet company recommends someone, more than likely, they are a good reputable company because when they step foot in your house, not only is the granite company’s reputation on the line, but so is the cabinet company’s or the plumber’s, or the tile guy’s or the contractor’s. Even the professional association or whomever recommended that company to you. Pick a color - bring color samples with you of the cabinets, tile, paint, floor, etc. Make other needs known - tearout, turnkey, etc. This handy take-with-you guide was provided by Artistic Stone Design of Richmond, VA.